Searching for Northern California vacation cabins close to family-friendly attractions? We heartily recommend the following four must-see destinations. 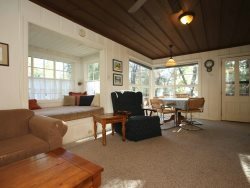 Each is easily accessible from vacation cabins in Tuolumne County. Famed for its role in the California Gold Rush, Tuolumne County incorporates a picturesque region of the Sierra Nevada. Yosemite National Park lies on the eastern side of Tuolumne County and in neighboring counties. It covers approximately 750,000 acres along the western slopes of the Sierra Nevada Mountains. The internationally recognized park features huge granite cliffs, remnants of older rock, impressive waterfalls, steep mountain streams, and groves of giant Sequoia. Due to its five major vegetation zones, Yosemite is home to a large variety of plants and animals. The history of its geology and inhabitants along with the story of its beginnings make Yosemite National Park interesting on many levels. Numerous trails lead to points of interest. Columbia State Historic Park is located a few miles north of Sonora. It features the largest collection of buildings still standing along the Mother Lode. Visitors can watch the blacksmith, shop inauthentic candy stores and ice cream parlors, or ride a stagecoach through town. There is even an old Goldmine. Bringing it all to life are an array of staff dressed as they did in the 1850s. Columbia State Park features a calendar of provocative programs, hands-on activities, and special exhibits. Daily tours are offered. A number of festive events are held at Columbia State Historic Park throughout the year. South of Sonora – and southwest of Twain Harte vacation cabins – visitors happen upon another fascinating Park. Railtown 1897 Historic Park boasts a functioning roundhouse and museum. The railroad in Jamestown played a huge role in transporting gold and timber. Curators have assembled an amazing collection of memorabilia in Jamestown. From a spring to fall, the park also offers excursion train rides. Passengers ride a 6 mile loop through the scenic foothills in vintage cars pulled by steam and diesel locomotives. Hundreds of movies have been filmed in the authentic setting over the past 95 years. Located up the mountain from the vacation cabins in Twain Harte, Pinecrest Lake is a marvelous getaway on the South Fork of the Stanislaus River. It is surrounded by meadowland and granite outcroppings. Pinecrest Lake is a wonderful place for swimming, fishing, hiking, and camping. For more information about Northern California vacation cabins, contact Twain Harte Rentals at 209-586-5204.